Struggling to find just the right tool for a specific application? Excelta offers the solution. 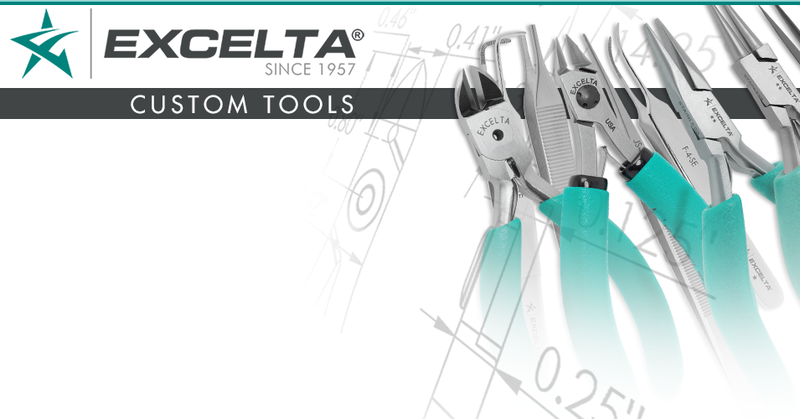 Through their custom design service you'll partner with an expert to create the ideal cutters, pliers or tweezers based on your application schematics. Or, consult with a designer who will diagnose your specific pain points to create the precise tool for your unique conditions. Cut, extract, crimp or place challenging parts with precision and ease using a tool that's created just for you — with a low, minimum order of just $150. Design just the right tool at just the right price.